This video shows some interesting and fun moments from World Sudoku Championship 2017. This was 12th World Sudoku Championship which was held in Bangalore, India during October 2017. Here is Round 9 from this Sudoku Championship. This Sudoku round was named "Dress Them Up". 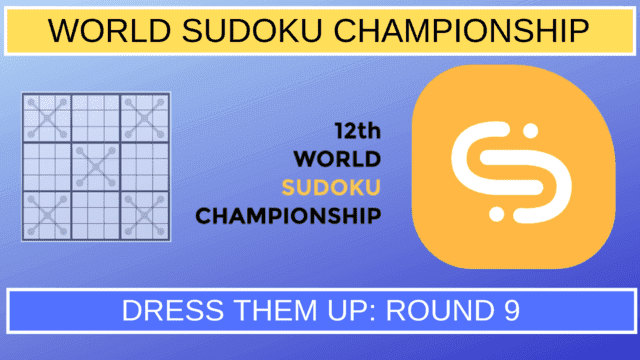 Watch it out how different teams solved this Sudoku round during World Sudoku Championship 2017.